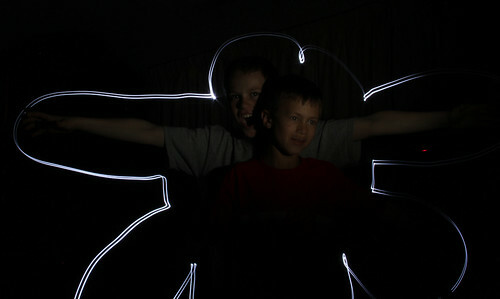 While babysitting this evening I shared a bit of my knowledge of photography with my niece and nephews. It was fun to see them excited about creating something new and exciting. They all got into it in one way or another. I thought I might use this as my profile picture in places. 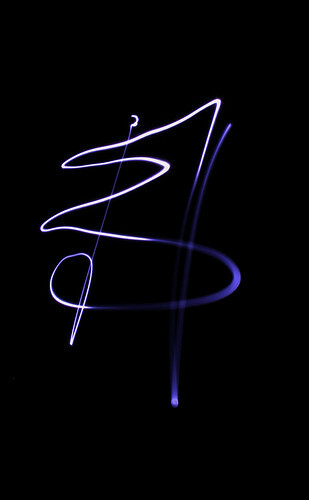 I thought it was cool. 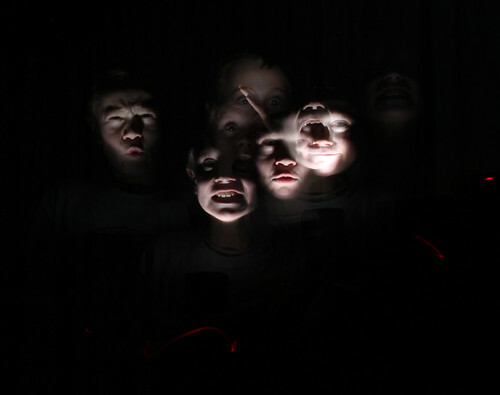 This was created by using the hot shoe flash in multiple areas around the kids. Kind of a portrait of what we doing. DJ being goofy. 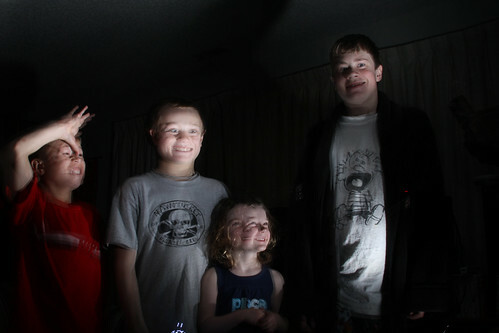 Once I showed them how it all works they were coming up with all kinds of ideas. It looks like they lost their minds on this one. This is one of my favorites. 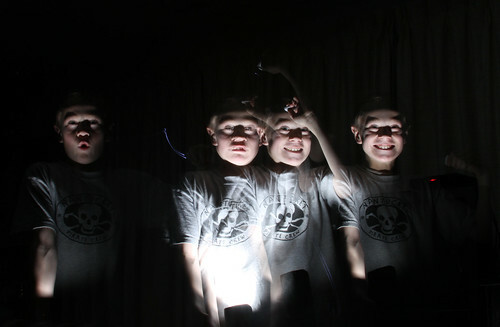 Caleb took hit LED light and traced around his brothers and I used the hot shoe flash to give their faces a little light. 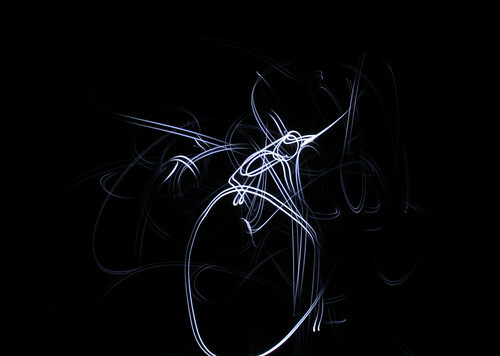 Last but not lease is my niece writing her name with light. I was supper impressed. 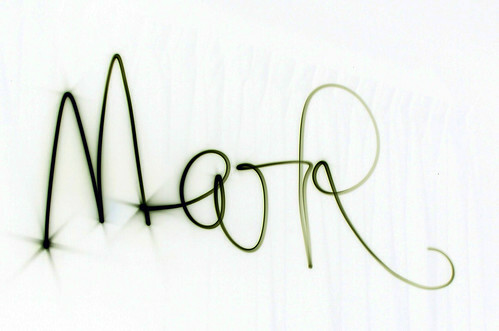 She was only able to get the first 3 letters of her name but Ell is clearly seen here.